These Curved Glass Plaques are pefect for any budget. 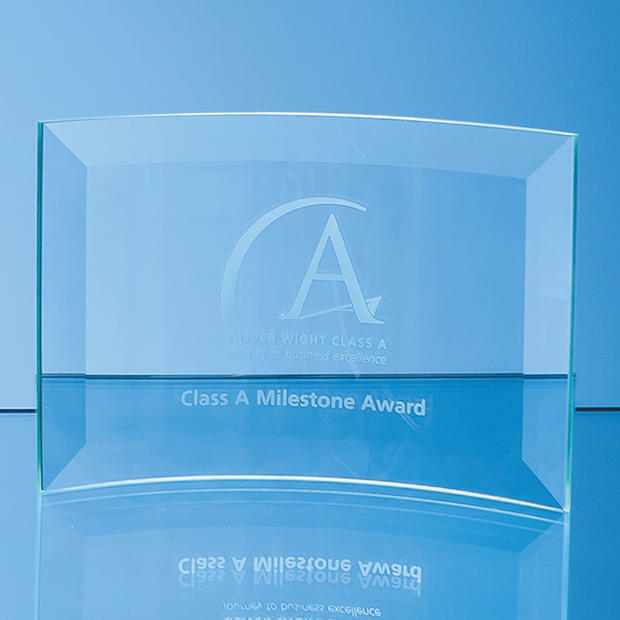 The curved glass plaques are perfect for any occasion too; Corporate awards, corporate gifts, sporting awards, and are great for gifts. Curved glass plaques have a wonderful engraving area and are unique in having the engraving on a curve, Unique, and really attractive. These curved glass plaques are all 5mm in thickness. 10mm thickness available - see separate details.